Put Away (93 kb) 1024x768 jpeg. Made using Raydream 5.5. This picture was inspired by a girl I know. IOM intro screen (80 kb) 650x433 jpeg. Made using Raydream 5.5. I did this for a splash screen for a program at work. I didn't make the cool earth ball texture, it came with the raydream package. DNA (74.5 kb) 1024x768 jpeg. 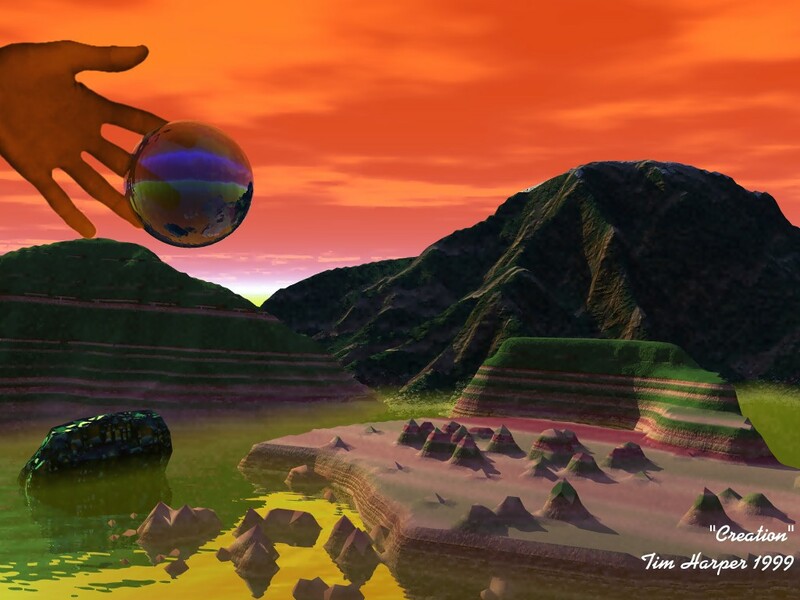 Made using POV-RAY 3.1 and Terrain Maker. 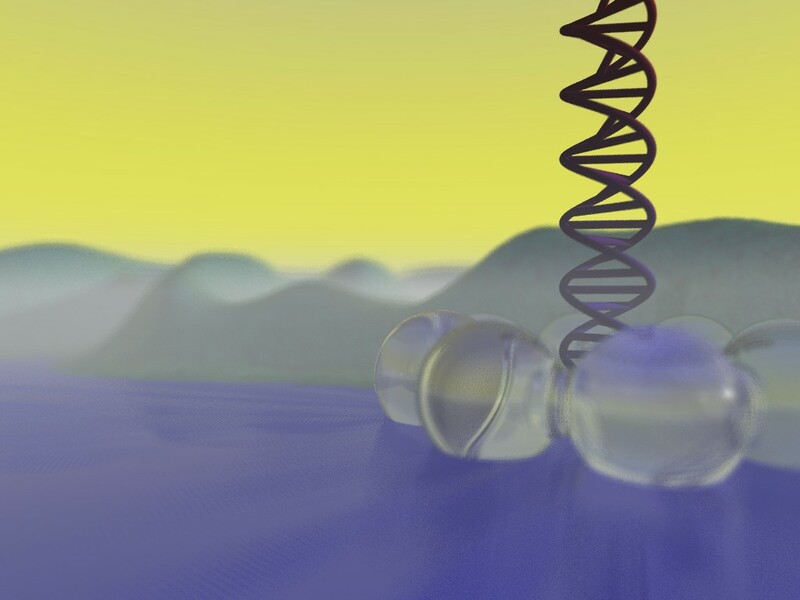 The glass balls around the dna cell is a blob model, and the dna cell was generated by writing macro functions. It took 1 1/2 hours to render on my p2-300 mhz. 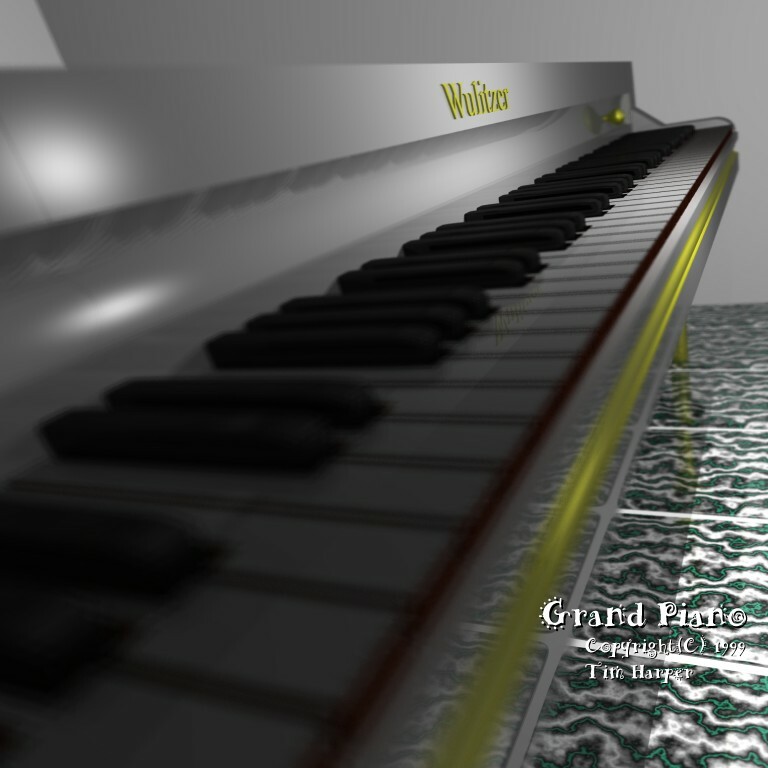 The Grand Piano (first render) (94.8 kb) 768x768 jpeg. 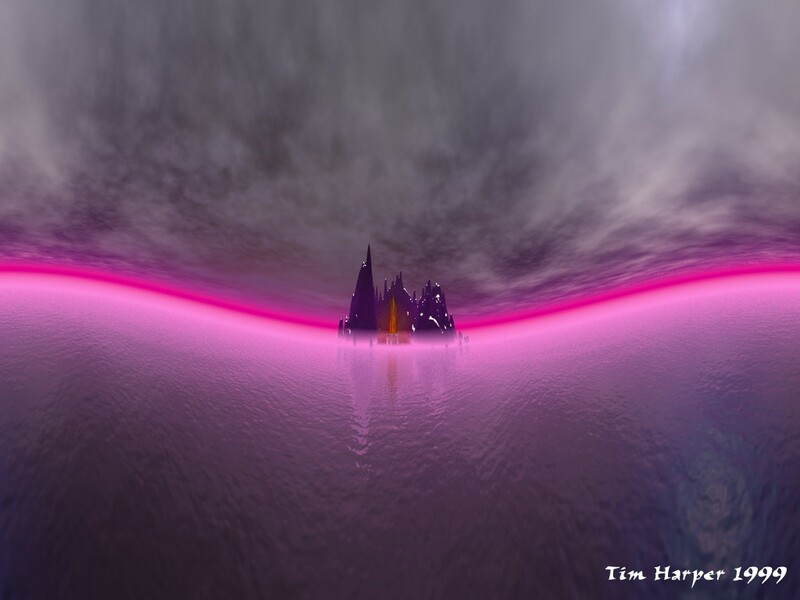 Made using POV-RAY 3.1. The piano keys and tile was all done by writing macros. 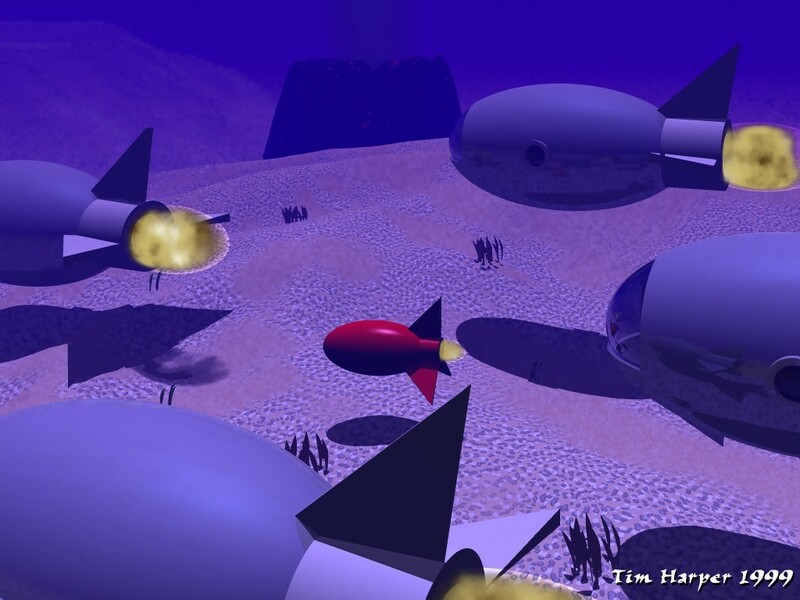 Took 20 minutes to render on my p2-300mhz. 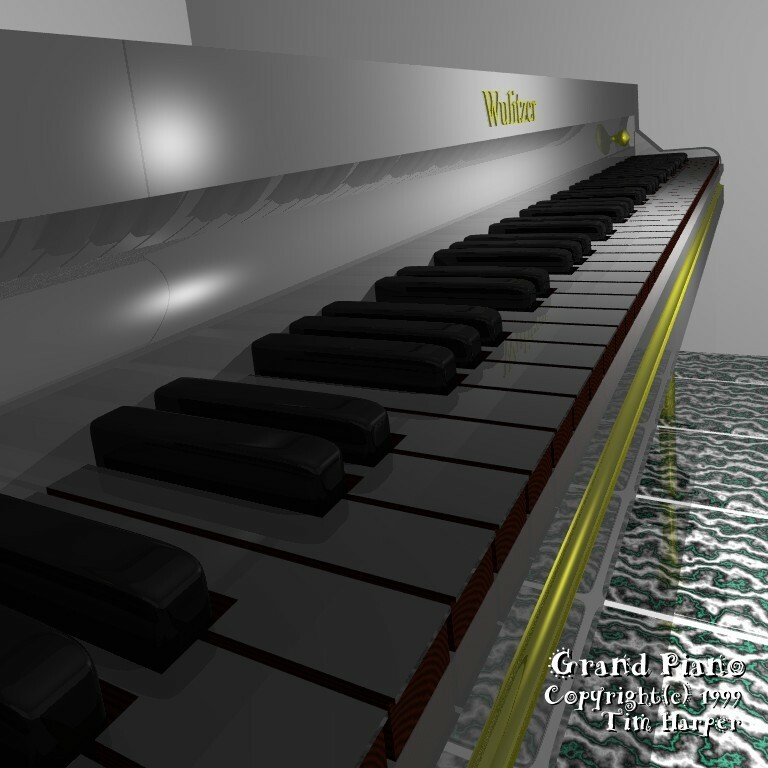 The Grand Piano (Final render) (74 kb) 768x768 jpeg. 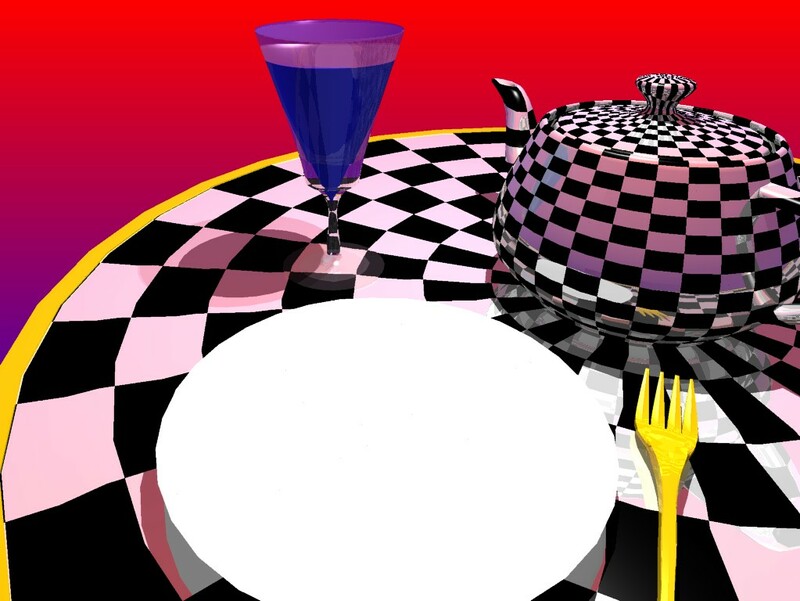 Made using POV-RAY 3.1. Same as above but focal blur was added. Took 6 1/2 hours to render on my p2-300mhz. Underwater. (135 kb) 1024x768 jpeg. Made using Bryce 3D. 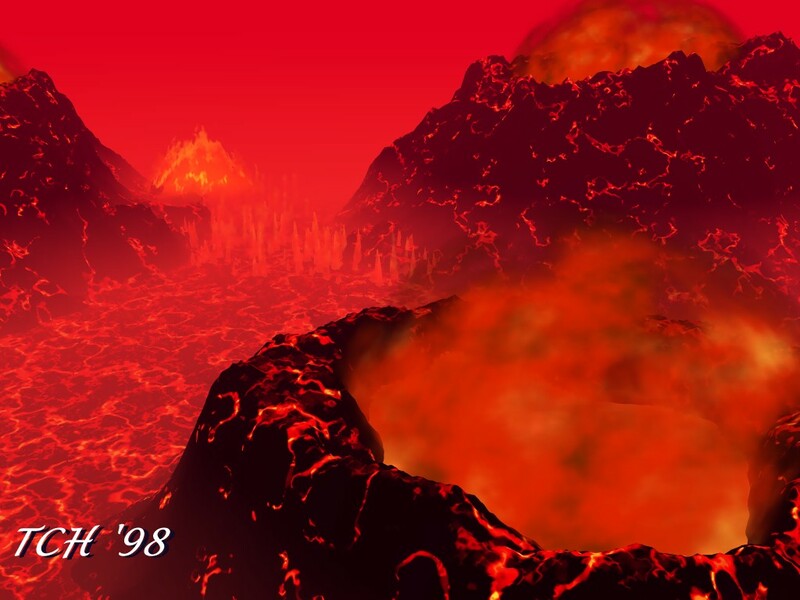 Volcano (128 kb) 1024x768 jpeg. Made using Bryce 3d. Voodoo Island (85.5 kb) 1024x768 jpeg. 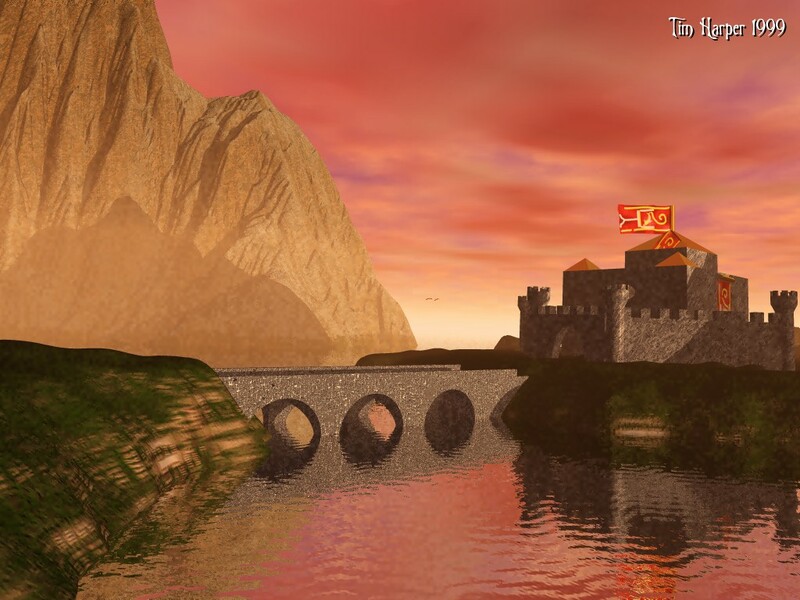 Made using Bryce 3d. One of my first pictures made in bryce. Don't Drink and Drive (133 kb) 1234x453 jpeg. Made using Ray Dream Studio 4.1. I made this for a poster in drivers ed. I imported all of the car models and the guy (it cheap, I know), so I can't take too much credit for this one. But I did paint the guy (he was all peach at first) so it looked like he had pants and a shirt on, with hair of course :). The beer bottle was a nice touch too. 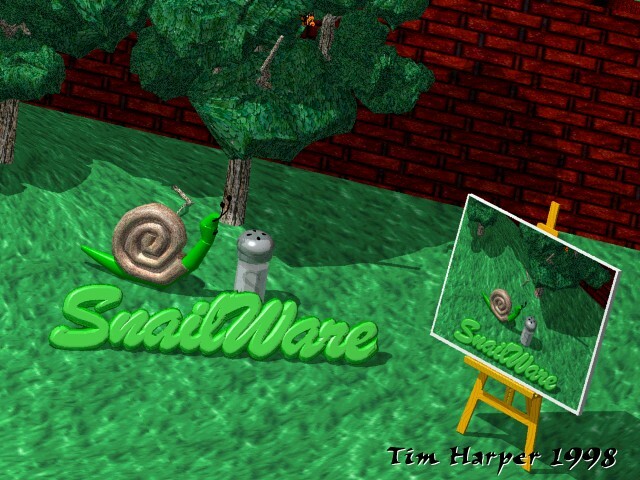 SnailWare logo screen. (108 kb) 640x480 jpeg. Made using Ray Dream Studio 4.1. I made this first of all for my Web Page, but I liked it so then I expanded on it and made it a logo screen for my game, "Big Cheezy Lee's Big Cheezy Physics Game"